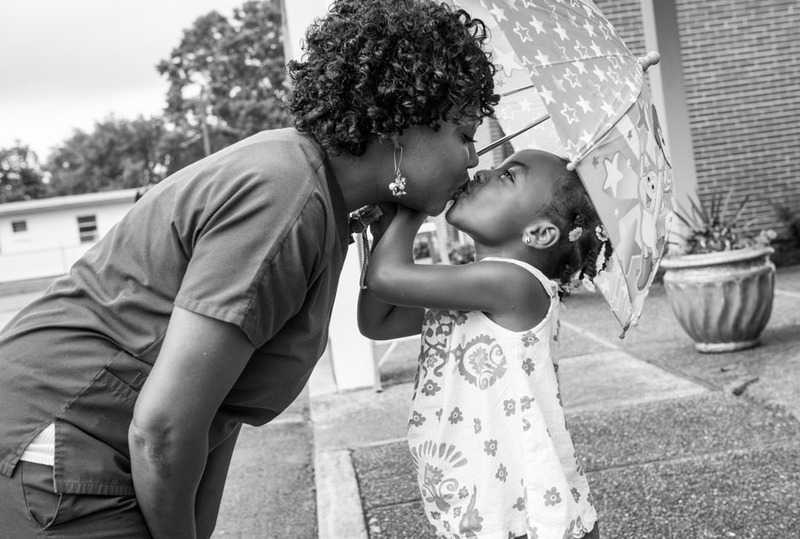 Nikki Brown and her daughter Kristian, 4-years-old, share a moment under an umbrella outside church in Chattanooga, TN on August 21, 2013. June Pagan on March 31, 2014 at 1:45 pm. I am working on a cookbook titled “Occupy Your Palate” It is a local Venice, Ca. 501 (c) urban garden project that is situated on a Title 1 (poverty) campus, Venice High School. I would love any suggestions that you could offer with regards to imagery for the book.The focus is on women with children that are struggling to put clean, healthy food on the table, with rising food inflation, drought conditions and gentrification.